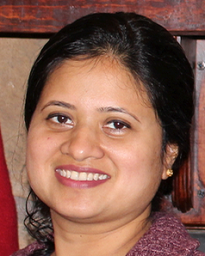 Dr. Rachel Anantha has over 10 years of experience in biomedical research. Rachel has worked in both clinical and preclinical development in oncology and neurobiology, and has published several peer-reviewed scientific publications. During her career she has developed manuscripts, posters, abstracts, slide decks, and grant proposals, and has reviewed and edited promotional materials. She is passionate about the documentation and communication of science. Rachel graduated with a Master's degree in Molecular Genetics and Microbiology from the University of Texas at Austin, where she received the Master's Fellowship Award. She earned a PhD in Cell and Molecular Biology from New York University in New York, NY and published her dissertation work on genomic integrity and DNA repair in cancer cells. Rachel completed her postdoctoral fellowship at Rutgers Cancer Institute of New Jersey (CINJ), New Brunswick, NJ, where she published her work on developing therapeutic interventions for breast cancer. Rachel also worked at Princeton Medical Institute, Princeton, NJ, where she was involved in the regulatory and compliance aspect of clinical trials relating to the development of therapy for psychiatric and neurologic disorders. Rachel has taught courses on cancer biology and microbiology at Rutgers University, City University of New York, and Middlesex County College, and has been a mentor to several students. She has served as Ad hoc reviewer for the Journal of Molecular Cell Biology and Ad hoc Scientific Consultant for Reliance Research and Development, Mumbai, India. Rachel believes that the communication of experimental and clinical work plays an indispensable role in the precipitation of information and dissemination of knowledge, which in turn shapes the course of science.